아기자기한 소녀의 방, 깨끗한 책상 위에 항상 올려져 있는 작은 성(Castle)이 있습니다. 에뛰드 마이 캐슬 핸드크림은 소녀가 가는 어디에서도 달콤한 상상에 빠질 수 있도록 소녀들의 꿈과 희망을 이루어 주는 환상의 성(Castle)을 주제로 작고 귀여운 네 가지 핸드크림을 디자인 하였습니다. 네 개의 아름다운 성(Castle)은 실제 유럽 역사 속에서 그리고 우리가 동경하던 애니메이션에서 영감을 받아 디자인에 적용 했습니다. 아이스 프로즌은 디즈니 얼음왕국에 나오는 성(Castle)에서, 로즈 캐슬은 베르사유의 성(Castle)에서, 스윗 쿠키는 헨젤과 그레텔에 나오는 과자집에서 모티브를 얻었고 그 중에서도 핑크 위시 핸드크림은 마리 앙트아네트의 성(Castle)인 ‘프티 트리아농’을 모티브로 디자인한 실제 에뛰드 하우스 외관을 그대로 축소 시킨 이미지를 적용한 것으로 에뛰드 브랜드와 연결고리를 가진 대표 제품입니다. A small castle is placed on a neat table in a lovely room. ETUDE My Castle Hand Cream is designed in four cute designs under the theme of a magical castle that allows girls to have sweet dreams anywhere. 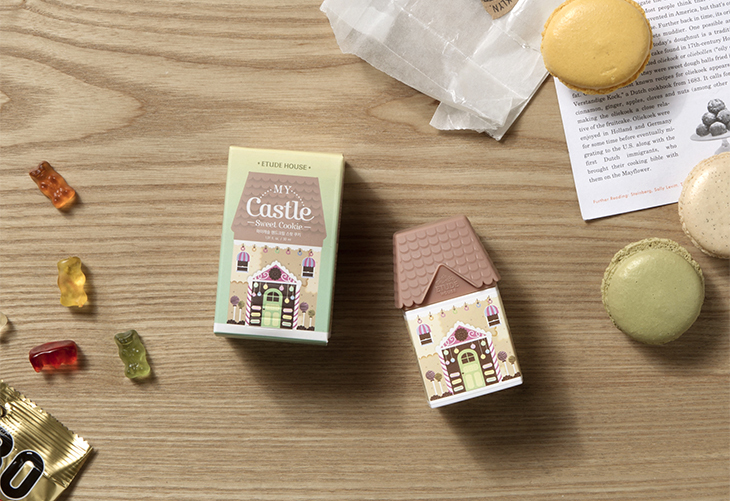 The design of the four beautiful castles is inspired from beloved fairy tale animations and from European history. The Ice Frozen is inspired by the castle in Disney’s Ice Kingdom, the Rose Castle is from the Palace of Versailles, and the Sweet Cookie is from the cookie house in Hansel and Gretel. The design for the Pink Wash Hand Cream is influenced by Marie Antoinette’s castle, Petit Trianon. 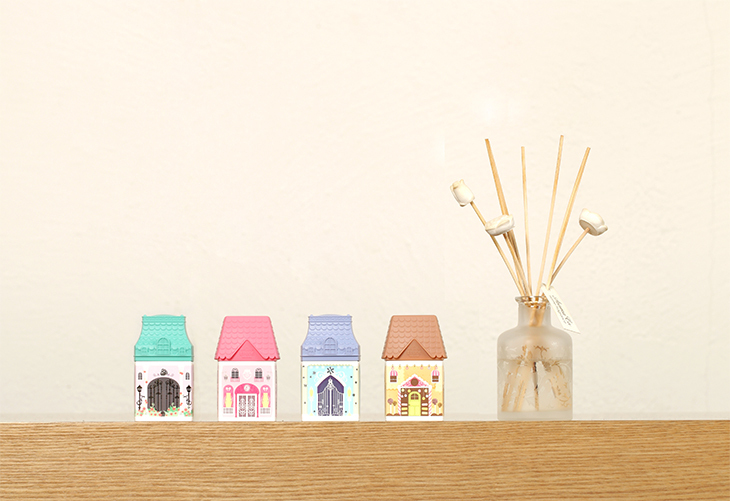 The design is a small-scale version of the actual ETUDE HOUSE, so it is a representative product that is linked to the image of ETUDE’s brand.